Wisconsin Governor Scott Walker has received considerable national "buzz" as a result of his "suit-coat-off, abandon-the-lectern" performance in Iowa last month. But with that buzz comes increased nationwide scrutiny as Walker takes the early lead in both Iowa and New Hampshire polling in the nascent 2016 Presidential "run for the roses" on the Republican side. An issue in Wisconsin that has been the subject of considerable controversy and debate has been the future of the non-partisan Government Accountability Board (GAB), which oversees our elections, campaign finance, ethics and lobbying laws – and which is now under attack from partisans who want to bring it under their control. And now, as Walker seeks the Presidency, this issue has "gone national" as well. 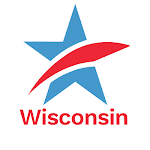 has written this opinion piece, which appeared nationally in The Daily Beast over the weekend, warning Scott Walker to part company with the Republican leadership in the Legislature (Assembly Speaker Robin Vos and State Senate Majority Leader Scott Fitizgerald) and, instead, support and fight to keep the non-partisan Wisconsin Government Accountability Board as is – non-partisan and independent of partisan, self-interested control by either major political party. Yes, Common Cause has a stake in this fight. CC/WI worked closely with former Republican State Senate Majority Leader and President Mike Ellis in devising the GAB after the tumultuous Legislative Caucus Scandal in 2002. And we led the effort to pass – in a split-party controlled Legislature – and enact into law, the legislation that created the GAB in early 2007. The GAB has done the job it was created to do. Admirably and independently. As Scott Walker campaigns in Iowa, New Hampshire and elsewhere around the nation about the virtues of Wisconsin, he ought to include the Wisconsin GAB as one of the unique Badger State reforms he fully embraces. Every Republican in the Legislature in 2007 voted to create the GAB. Walker should reaffirm that support and affirm good government in Wisconsin, not destroy it. If he does not, citizens and the media all over the nation will wonder why. February 10, 2015 - Thom Hartmann's "The Big Picture"